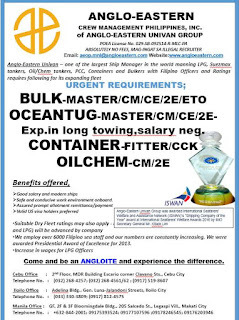 SEAMAN JOBS INFO - Anglo Eastern Univan available hiring crew recruitment for ocean tug ship, container ship, bulk carrier ship, oil chem tanker ship. 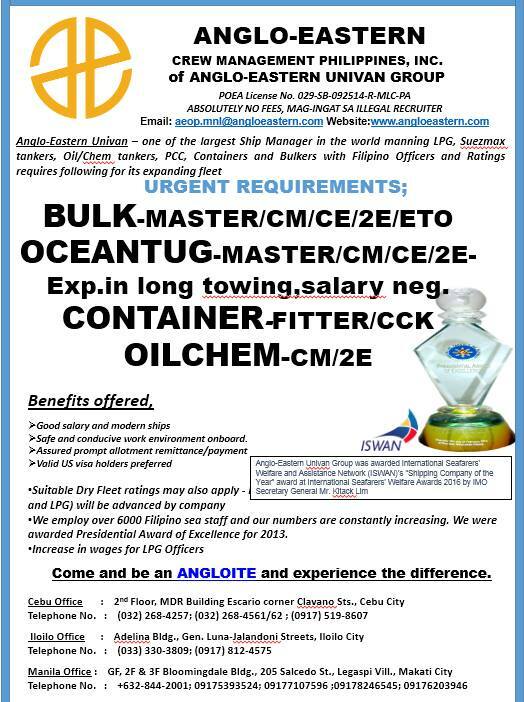 Bloomingdale Bldg 205 Salcedo St Legaspi Village, Makati City or our Iloilo branch Rm 207 Adelina Bldg Gen. Luna St. corner Jalandoni St., Iloilo City. 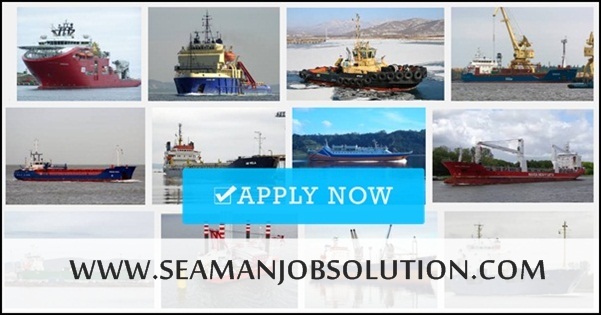 0 Response to "Urgent Crew For Tug, Container, Bulk Carrier, Tanker Ship"